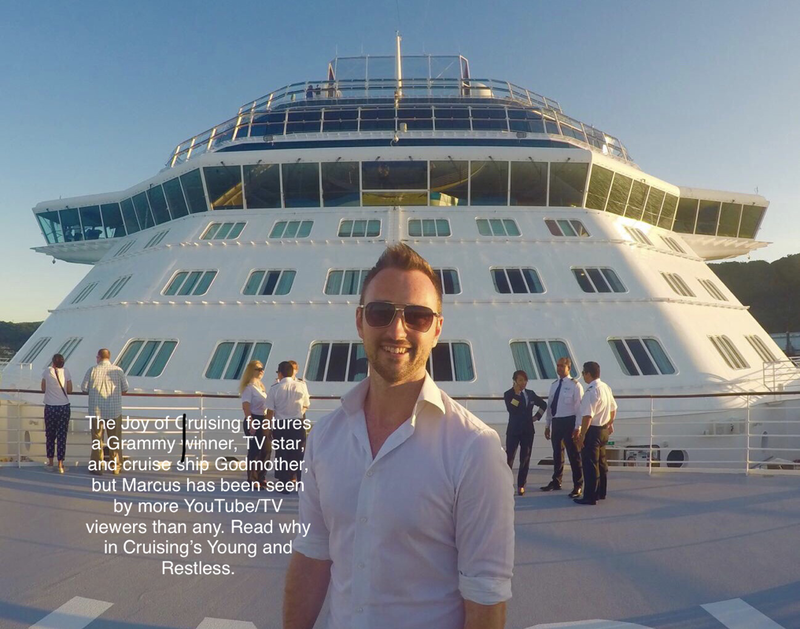 Danny’s introduction to cruising was on Royal Caribbean’s Independence of the Seas. Independence had been warmly welcomed into the hearts of Britain’s cruisers. 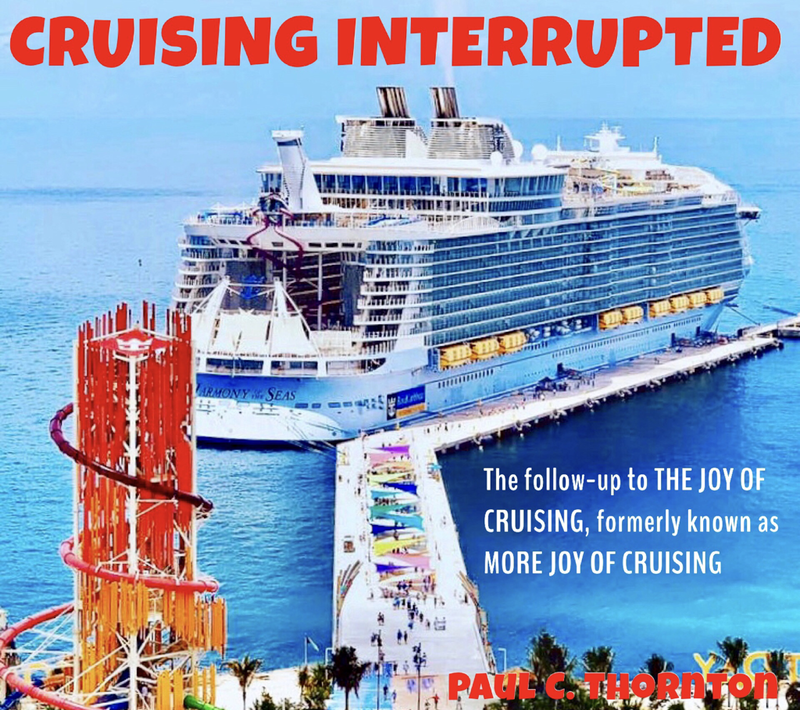 Independence of the Seas was christened a little over a year earlier during a ceremony in Southampton by its godmother, Elizabeth Hill of Chesterfield, UK (profiled in Chapter 4 of The Joy of Cruising). Among the world’s largest, most advanced ships, the Independence sailed Danny and his family to the Italian Mediterranean, with port of calls including Rome and Pisa. ....an August 2018 “bucket list” transatlantic cruise with Cunard on Queen Mary 2. I write this with a mix of intrigue, envy, and joy on behalf of my new friend; Danny gets to check off one of his bucket list items before he is 30! Danny’s cruises have sailed to Norway, Scandinavia, Northern Europe, the Mediterranean, Iberia, Canary Islands, and throughout the Caribbean; quite remarkable for someone who ten years prior had never travelled out of the UK. Clearly, Danny’s thirst for exploration was ignited and his passion for cruising inflamed by that first experience on Independence of the Seas. Danny has made up for lost time; not yet 30 years old Danny has cruised more than the average traveler cruises in a lifetime. Jason Leppert was a 10Best Readers’ Choice New Media Award for Best Cruise Blogger finalist for the Popular Cruising blog. Prolific is the word that comes to mind with Jason—both in terms of the sheer breadth of his writing and videography that ranges from cruising to an extensive knowledge, experience and coverage of Disney theme properties—to the frequency and diversity of his cruising. At only 30 years old Jason Leppert was a 10Best Readers’ Choice New Media Award for Best Cruise Blogger finalist for Popular Cruising. Today at 34, the indefatigable cruiser and writer is now up to 138 cruises, and in addition to serving as editor in chief, “the captain”, at Popular Cruising, Jason is the Cruise Editor at TravelAge West, founder of Popular Cruising and its successful YouTube channel, and contributor to other outlets such as Cruise Travel, Porthole, and Oyster.com. He also annually attends “Comic-Con International: San Diego,” the 50-year old entertainment and comic convention which draws over 130,000 over three days to Jason’s home town. Jason is the epitome of a passionate cruiser who manifests his passion with driven, concerted action personally and professionally. Given the amount of time he dedicates to cruising, both sailing and writing about it, one would be tempted to conclude that about sizes up Jason’s life. However, all things Disney round out much of Jason’s personal and professional life. ....How can a 34-year-old accumulate 138 cruises? Well, beside the fact that cruising is both Jason’s passion and his profession, he started early! Jason sailed on his first cruise at only two years of age. He is an only child, and his parents wanted to share their passion for travel with Jason early on, taking him on his first cruise aboard the original Royal Princess—the one launched in 1984, named by Princess Diana, and occasionally a stand-in for the Pacific Princess as the setting for the television series The Love Boat. There were two later cruise ships christened the Royal Princess. I asked Jason about the first cruise he could remember. “My next cruise was actually another one aboard the original Royal Princess only a couple years after the first. And I actually do remember bits and pieces from that ship, especially its observation lounge. It was a quiet place that I enjoyed roaming as a little one. Perhaps that’s why to this day I cherish ships that still feature such venues. It’s also been quite neat to sail on the current-generation Royal Princess that is in operation today, coming full circle.” Growing up, Jason also sailed a lot with his family on Crystal Cruises and on Celebrity Cruises. "I don't live in a lavish house, I definitely don't speak the Queens English and I still have many things to learn in this life, but I'm pretty confident in my cruise knowledge—I could put a few people under the table. You see, that's what I do, that's what makes me tick and brings me life, so for me, that's all that matters." Drops mic. Danielle Fear, known to many with a passion for cruising in UK and beyond as CruiseMiss, is the author of the above quote. She didn’t really “drop the mic,” but I could picture her doing so as I read her quote. To make such a self-assured statement, you have to be recognized as someone who knows of what you speak. Let’s see, earlier I mentioned CruiseMiss as being one of the winners in the USA Today10Best Readers’ Choice New Media Award for Best Cruise Blogger, one of only two UK bloggers to join that venerable list, and many other cruise blogger accolades have been accorded CruiseMiss: Best Cruise Blogger; Top 25 Socially Shared Cruise Blogs; Top 10 Cruise Bloggers You Need To Follow; Top 50 Cruise Blogs To Follow in 2018, and more including finalist and highly commended recognition in other major awards such as the UK cruise industry’s The Wave Awards. 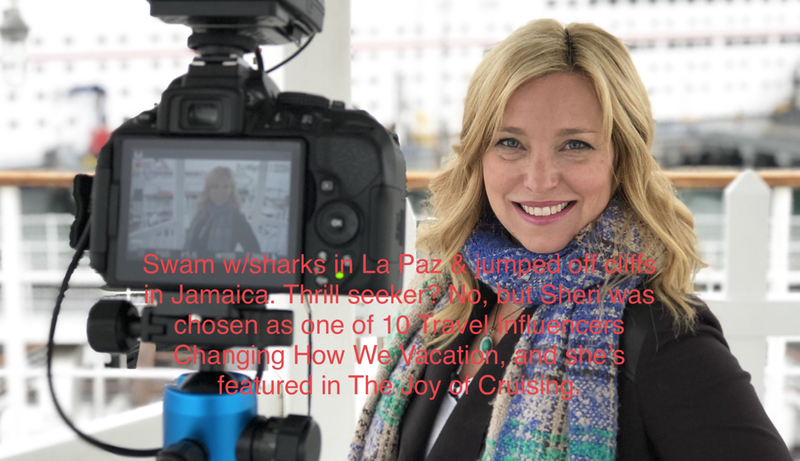 I first became aware of Sheri Griffiths in the spring of 2018 when she was named one of the “10 Travel Influencers Changing How We Vacation” by Porthole Cruise Magazine for her popular YouTube series CruiseTipsTV. Porthole Cruise Magazine stated, “When it comes to planning the best cruise vacation, there’s no better follow than Sheri Griffiths.” CruiseTipsTV was created in pursuit of Sheri’s passion for family cruise travel, and to share videos with other cruisers looking to make their cruise experience the best it can be. The CruiseTipsTV channel now has close to 500 videos, 60,000 subscribers, garners over 600,000 monthly views and has grown to 11 million total views. While Sheri is the host and on-camera presence, CruiseTipsTV is a family production along with her husband and ten-year old son, referred to affectionately by her audience as, respectively, Mr. CruiseTipsTV, and Junior Editor. The family production originated out of another family event—conversation over family dinner when Junior Editor was only five years old. Their conversation went something like: “We’re going on a lot of cruises. What if we made a little cruise packing video helping people to learn about packing for a cruise…it will be terrible and no one will watch it…. I’ll hate it…let’s just do it, why not?…. studies at University of California-Santa Barbara. It was with that media and technology background that CruiseTipsTV premiered with “What to Pack for a Cruise” in October 2013. “When I tell you it was terrible…it was so bad. I can’t even watch it now.” Despite Sheri’s declaration to the contrary, ratings from the 84,000 viewers of the video over the years are overwhelmingly positive and Sheri and her family were definitely on to something as people started commenting and awaiting more videos. The Traveling Wife Cruising Around the World is more than just a catchy tagline for Lucy Williams. It literally is a way of life by virtue of the fact that Lucy—a former cruise ship employee—is the spouse of a cruise ship officer. 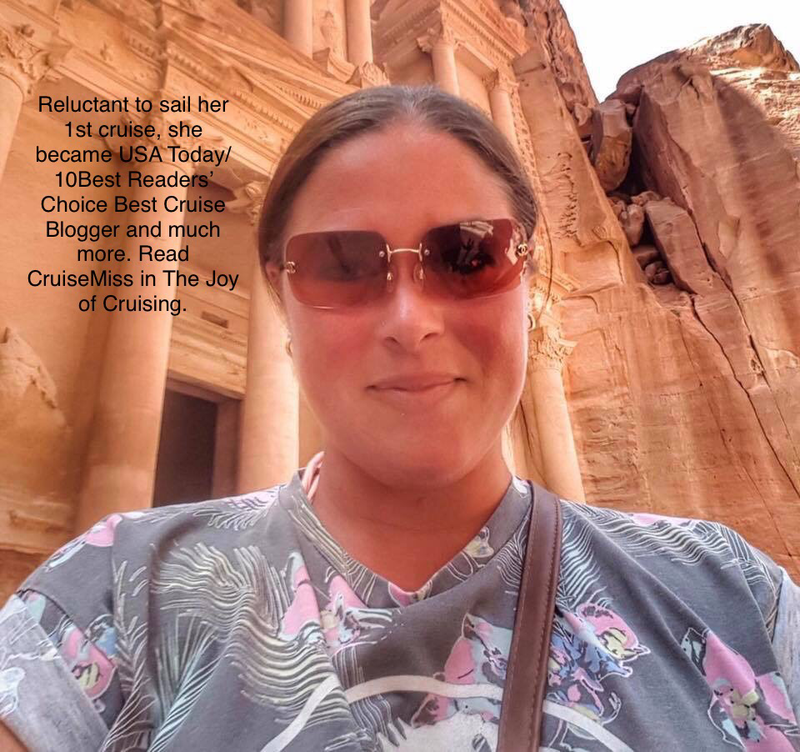 In her thirties, and having visited nearly 80 countries, Lucy’s story would fit well in Chapter 13, Cruising’s Young and Restless about several amazing millenials and cruising. However, the circumstances behind her intriguingly titled story and attendant blog, The Traveling Wife Cruising Around the World, are interesting in their own right. 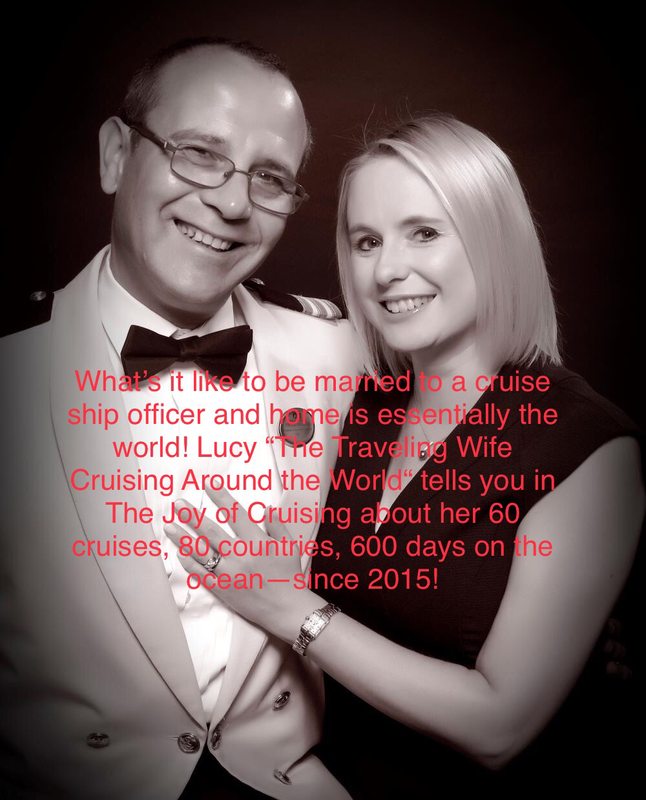 And, Lucy Williams’ story is well-suited for The Joy of Cruising’s section, The Influencers, given The Traveling Wife Cruising Around the World blog is all about cruising tips and helping cruisers make the best choices, her extensive presence and following on social media, and Lucy’s comprehensive website, Lucy Williams Global, www.lucywilliamsglobal.com, with its continuously updating graphic of a world map pinpointing Lucy’s current location. 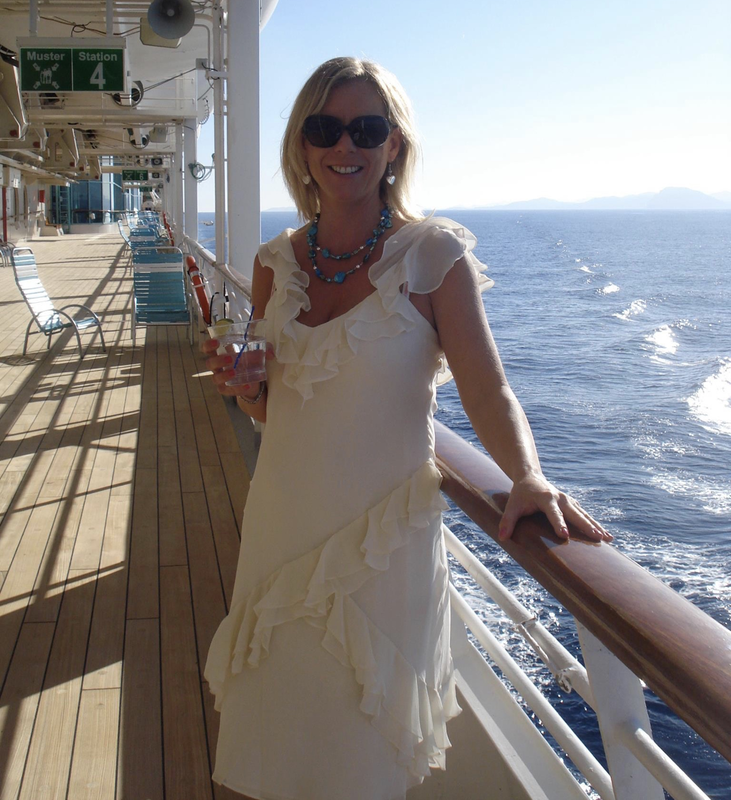 Cruising Isn’t Just for Old People is the name of an award-winning blog run by Emma Le Teace. 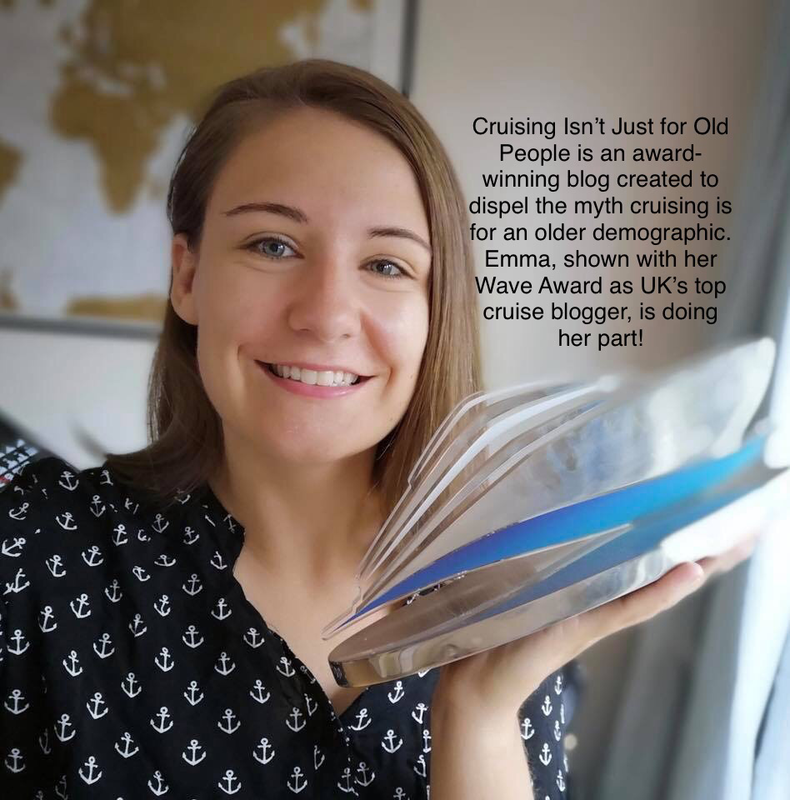 Emma created the blog in 2016 with a vision to dispel the myth that cruising was the domain of an older demographic. The CLIA findings suggest Emma is doing her part! 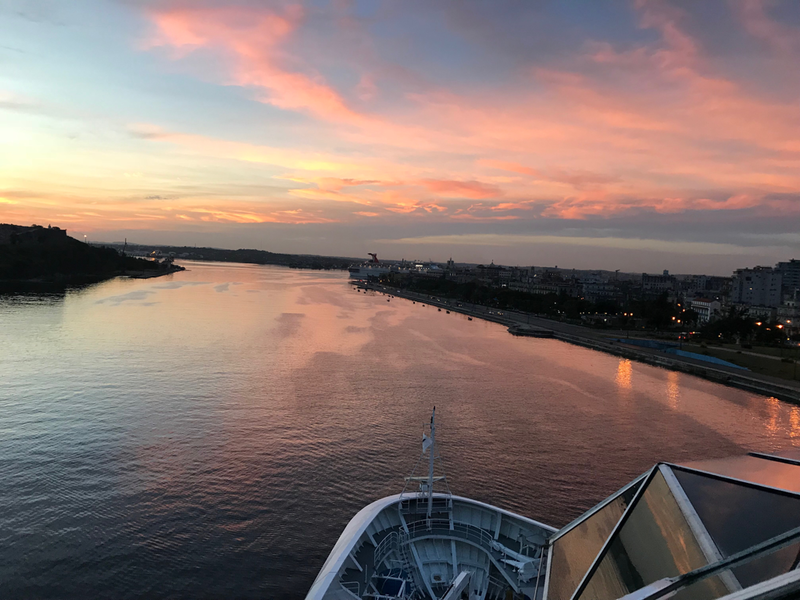 Cruising Isn’t Just for Old People started as a cruise blog but has evolved to become a collaborative community of young cruisers. 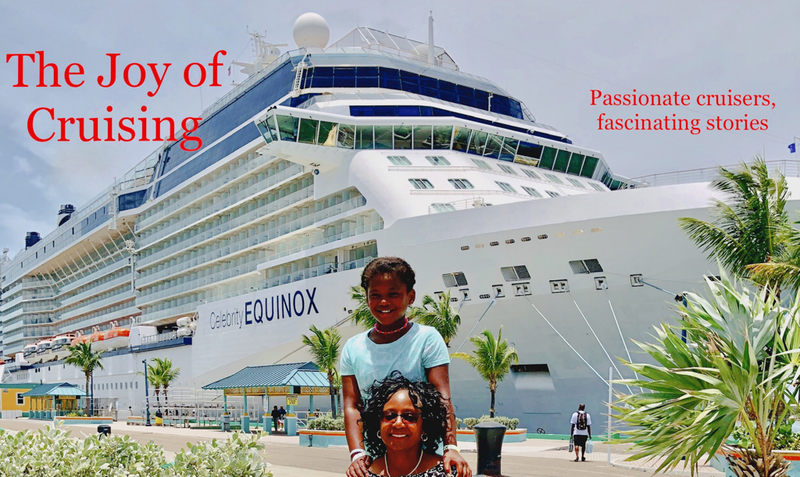 The site brings together bloggers and cruisers from all over the globe, and all walks of life, who all share a passion for cruising and a belief that cruising is for everybody irrespective of age. Contributors to the site share a wide variety of content, including cruise reviews, top tips about cruise lines and destination guides – all with new cruisers in mind. ....“My Mojito in la Bodeguita, my daiquiri in El Floridita” supposedly said Ernest Hemingway of two of the most famous bars in Havana. Despite the mythology of this saying—and the dubiousness of its authenticity—there is a hand-scrolled sign with that statement and Hemingway’s autograph in La Bodeguita del Medio, along with inscriptions on the walls from the likes of Harry Belafonte, Nat King Cole, and Fidel Castro. Paul and Carole tried a couple of times to get into La Bodeguita, as well as El Floridita, but they were always too packed. Caribbean, and is not affiliated with Royal Caribbean International. Scott won for The Disney Cruise Line Blog. Since 2012, The Disney Cruise Line Blog and accompanying podcast has been an unofficial source of Disney Cruise Line news and information and a place where fans can share Disney cruise experiences. ....Scott Sanders is a USA Today/10Best Readers’ Choice New Media Award winner for Best Cruise Blogger for the Disney Cruise Line Blog. I first became aware of Scott several years ago when I discovered his blog in advance of taking my grandkids on their first cruise, a four-day voyage on the Disney Dream. Two weeks before our sailing, Scott posted a video on his blog of his daughter’s first time on Disney Cruise Line’s AquaDuck, the first "water roller coaster" at sea introduced on the Disney Dream. So, my then 5-year old granddaughter watched Scott’s daughter Isabelle screaming gleefully riding AquaDuck—along with the many other AquaDuck videos on YouTube—over and over. 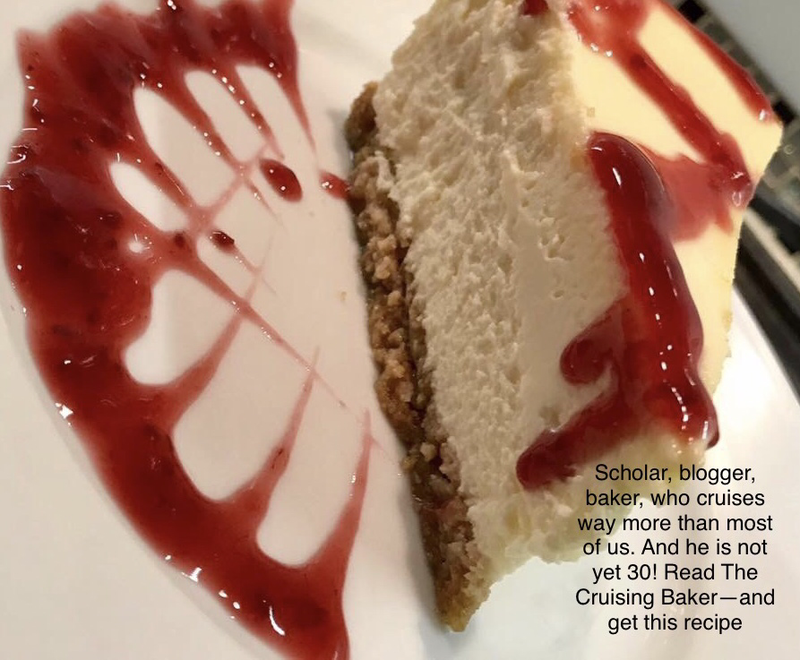 Scott’s blog and podcast are the go-to source for Disney Cruise fans looking for news, tips, and opinions in addition to, or instead of, official information from the company itself. It’s not just Disney Cruise fans that rely on Scott’s insights. Scott is extensively consulted by media such as the Orlando Sentinel and USA Today to opine on Disney Cruise Line news and developments, and has appeared in the book, The Unofficial Guide to Disney Cruise Line. Scott started the Disney Cruise Line Blog in 2012. He added a companion podcast April 2016. The website is more than just a blog chronicling Scott’s cruises. In addition to posting daily trip reports when taking his family on a cruise, the website also offers fans a historical look at the various Disney Cruise Line itineraries and provides info about upcoming sailings. In addition, each week Scott summarizes the current special offers and blogs about the latest news surrounding Disney Cruise Line and its ports of call. Scott lives with his wife Emily, and daughter Isabelle in Celebration, Florida, known as “The Community Disney Built.” Celebration is located five miles from Walt Disney World Resort and was originally developed by The Walt Disney Company. Scott is originally from the Midwest and came south to Florida for the weather and has lived in Florida for most of his adult life. Scott and Emily were married in a Disney Wedding at Walt Disney World Resort. 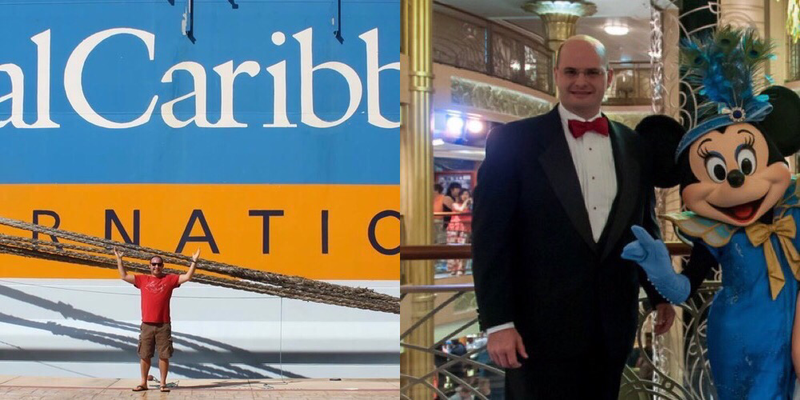 Read the complete story of how Matt and Scott’s passion for cruising moved them to become a main resource for fans of two of the world’s top cruise lines in respectively, Chap 18, Royal Caribbean Blog: Matt Hochberg, and Chap 19. Disney Cruise Line Blog: Scott Sanders, The Joy of Cruising. Available now! Flavia reflects back on the day she arrived for her interview with Royal Caribbean with amusement. “My attitude was already negative and when I saw one of the employees arriving at the office in jeans and tee shirt, I was quite disgusted. Only later did I learn that Friday was ‘dress down’ day.” Long before she was blogging about couture and style, Flavia was cognizant of how people should present themselves—even though her presumption about the employee’s attire was incorrect! ....Now Flavia found herself fantasizing. This cruise ship on the screen meant there was a way she could travel again, and even as a single mom. Normally a cruise would be out of reach financially for Flavia, but she had recalled one of the Royal Caribbean staffers mentioning something about free or very cheap cruises during their presentation to the applicants. “I had to get on that ship, and I had to get this job. That was that.” Flavia did get the job with Royal Caribbean. She set out to make her fantasy of traveling with her daughter a reality. The Royal Caribbean call center training was rigorous and comprehensive, providing Flavia with in-depth knowledge into Royal’s products, services, and system. It also included training on Celebrity Cruises and Azamara Club Cruises as they were all under the same parent company. It was six weeks before she was allowed on real telephone calls, and once that began, she was subject to constant monitoring and mentoring on her performance and was accountable for a stringent set of criteria to meet on each call. Flavia and her call center colleagues faced financial consequences for failing to meet the call standards as determined by the Royal Caribbean Quality Assurance team. There were many times Flavia wanted to rip her headset off and quit. But her mind kept going back to that video about the cruise ship. So, she resolved to get past the six-month probationary period, take her daughter on a discounted Royal Caribbean cruise, and then quit! Flavia boarded and found that “small” ship to be quite nice and it did not feel small at all. In fact, once onboard she found it to be huge. The ship was gorgeous, with a lovely chrome and beech atrium with marbled floor and a ceiling that seemed to extend to the sky. The first food venue Flavia and her colleagues tried was the buffet with a seemingly endless array of choices. After eating they went to the sundeck and Flavia laid out on a sun lounger. She felt like she was back at the beach, only there were really friendly waiters wearing Hawaiian shirts saying hello and asking if anyone wanted anything. She also found the other cruisers to be very personable. The cruise was off to a great start and getting better and better. Flavia kept hearing others talking about the sail-away: go find one of the many ideal vantage points on the ship, with a cocktail in hand for sail-away. Flavia chose to join the group of Royal Caribbean employees that she was sailing with on the top deck. Cocktail in hand, steel drum band playing and guests joining members of the Royal Caribbean entertainment team to dance on the deck stage, the anticipation was thrilling. That larger ship, the Liberty of the Seas, the one Flavia mistakenly assumed was meant for her to board, went off first. Despite already being captivated by the more modest ship she boarded, Flavia watched wistfully as the “ship like the one in the video” sailed past. Someday….